Red elegant evening dress with slit in front. 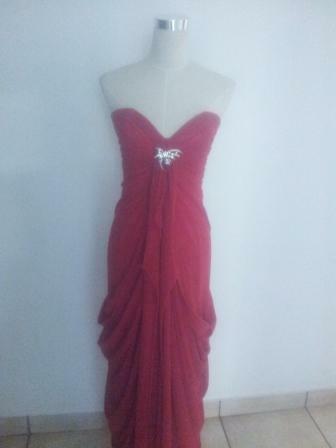 Ideal for bridesmaids dresses, evening dress, wedding gown. With this dress you are never under or over dressed and it is suitable for any function. SAME AS AD1A, B, C, DIFFERENT DRAPES CREATE A NEW LOOK. A MUST HAVE!!! Can be ordered in different colours and sizes.